(CNS): Former offshore private banker, and more recent whistleblower Rudolf Elmer has said he will ‘tell-all’ about his experiences at Bank Julius Baer and subsequent whistle-blowing in an appearance at this year’s OffshoreAlert conference in May. Organisers of the conference said that Elmer has agreed to talk openly and frankly about what he believes is the bank’s complicity in global tax evasion by its clients and go into the reasons that made him offer client-records to the world’s tax authorities. "Whistle-blowing should not be a money-making business but, today, it has to be because a whistleblower will not find another reasonable job after having told the truth to society," Elmer told OffshoreAlert. "Society turns the whistleblower into an outlaw and leaves him or her with little choice in terms of providing for himself or herself financially." 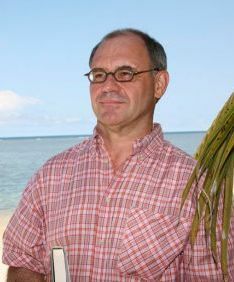 For 16 years, Elmer worked for Bank Julius Baer, first in Switzerland, where he was a Senior Auditor from 1987 to 1994, and then in the Cayman Islands, where he was the group’s local Chief Operating Officer from 1994 to 2003. Now living in his native Switzerland, Elmer describes offshore tax evasion as "the biggest theft among societies and neighbour states in this world". He added: "If I had not worked in eight well-known Offshore Financial Centers and finally in Africa, I would not have discovered the biggest predatory theft in history of humanity and its catastrophic consequences for the poorest people of the earth. "The people of this world demand fair play in sport, why do they not demand this also from the financial institutions and multi-national conglomerates which maintain dubious companies in OFCs simply to evade or avoid paying their fair share of taxes in their homeland?" Elmer denies that he is anti-offshore and says that OFCs can have a prosperous future but only if they change their business model, concentrating more on "excellence in professional performance" and less on "secrecy". "As more and more practitioners are realizing, bank secrecy belongs in the past," he said. "Banks have to decide where privacy ends and social responsibility starts." Offering products and services that appeal to those with a lack of ethics or morals was not the way forward for OFCs, he said. Whistleblowing is one of the main themes of the 8th Annual OffshoreAlert Financial Due Diligence Conference, which will take place at The Ritz-Carlton, South Beach in Florida on May 2-4, 2010. Apart from Elmer, Allen Stanford-whistleblower Charles Rawl will also be speaking, as will Washington, DC-based attorney Jack Blum, who represents Elmer and LGT Bank-whistleblower Heinrich Kieber, and Eric Havian, an attorney with California-based law firm Phillips & Cohen, which specializes in whistleblower cases. (CNS): Public health officials said today (Wednesday 27 January) that blood samples have been sent to the Caribbean Epidemiology Centre (CAREC) in Trinidad to test for possible dengue fever after three residents were hospitalized earlier this month. Medical Officer of Health Dr Kiran Kumar confirmed that the three people had acute viral infections and officials now need to know if it could have been dengue fever. Officials also confirmed that the patients had no recent travel history. He said however it was important to know for sure whether or not they had dengue fever which is caused by a virus transmitted by the aedes aegyptii mosquito. The symptoms include high fever, severe headache, backache, joint and eye pain, nausea and vomiting, and rash. Most people recover without any complications, using pain relievers and bed rest. As health officials wait for the test results which they say are expected in a week, Minister of Health Mark Scotland chaired an interagency meeting yesterday (26 January) to review the Islands’ preventative measures. “While dengue is endemic to several Caribbean and Latin American countries, the Cayman Islands have so far been fortunate to have low occurrences of dengue cases due to the excellent control measures of the Mosquito Research and Control Unit (MRCU) and the Department of Environmental Health (DEH) as well as the vigilance of the Public Health Department,” Scotland said. “It is estimated that annually over 100 million dengue cases occur worldwide. It has been reported in many countries in our region Bahamas, Barbados, Belize, Honduras, Nicaragua, Cuba, Dominican Republic, Trinidad &Tobago and Jamaica.” he said. Staff from the MRCU and DEH have confirmed that their departments are already taking extra measures to control the aedes aegyptii mosquito. 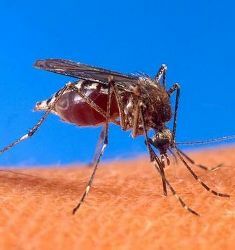 “People can greatly assist in reducing the local aedes aegyptii population by clearing their yards of containers that can hold water as these are favourite breeding sites for this mosquito,” MRCU Director Dr. William Petrie said. For more advice on how to control mosquitoes in your yard contact the MRCU on 949-2557 in Grand Cayman or 948-2223 on Cayman Brac; and DEH on 949-6696 in Grand Cayman or 948-2321 in Cayman Brac. What is Dengue Fever? Dengue fever is a disease caused by a virus that is transmitted by mosquitoes. It is an acute illness with fever, headache, muscle aches, joint paints, pain behind the eyes and rash. Some cases can be very mild while others can show disorders in blood clotting which can result in internal bleeding. This is called the hemorrhagic form. The hemorrhagic form of dengue fever is more severe and is associated with loss of appetite, vomiting, high fever, headache and abdominal pain. How prevalent is dengue? It is estimated that over 100 million cases occur worldwide each year. It has become a major international public health concern. It is prevalent in many countries in the Caribbean as well as Central and South America including Jamaica, Honduras, Trinidad and Tobago, Barbados, Guyana and Puerto Rico. Dengue is not endemic to the Cayman Islands. We do have imported cases from time to time. Currently three cases are under investigation for dengue. How is dengue fever spread? The aedes aegyptii mosquito gets infected by biting the dengue patient in the first week of illness. It takes about eight to twelve days for the virus to multiply before the infected mosquito can pass it on to others. Aedes aegyptii is a daytime biter with peak activity in the late afternoon. It cannot be spread directly from one person to another. How soon do symptoms occur? Dengue fever can develop from three to fifteen days after the bite of an infected mosquito, commonly within five to six days. An infected person can be a source of dengue virus for mosquitoes for about five to six days after onset of fever. How is dengue diagnosed? Doctors do suspect the possibility of dengue based on clinical symptoms and signs and confirmation is by a blood test. It takes about five to ten days for the results from overseas laboratories, and at times a repeat test is needed two weeks after the first test. What is the treatment for dengue fever? No specific treatment for dengue fever exists, and most people recover without complications using pain relievers and bed rest. Aspirin should be avoided. Use mosquito repellents on skin and clothing. When outdoors during times that mosquitoes are biting, wear long-sleeved shirts and long pants tucked into socks. When indoors, stay in air-conditioned or screened areas. What should I do if I am diagnosed with dengue fever? Follow the treatment as prescribed by your doctor and protect yourself from mosquito bites as described above. Source: Public Health Department, 28 January 2010. (CNS): Despite the recent marine tragedy in which five lives were lost at sea, police have said that people are still taking risks when going out on the water. Following a number of incidents where the RCIPS marine unit has been called into action over the past few days, Chief Inspector Courtney Myles is urging people to be extra vigilant and to make sure they are well equipped before heading out to sea. The incidents included two people reportedly in distress when fishing from a small kayak on Wednesday, four people rescued from a sinking boat at Barkers reef in the early hours of Saturday morning, and some slight injuries sustained when a rider was thrown from a wave runner on Sunday afternoon. CI Myles recently headed up the search mission for Raynell Wood, Astor Range, Joshua Gilman, Jeamie Avila and Michelle Wood who have been lost at sea following their departure on a fishing trip in a 26ft canoe on 10 January. After eight days of searching the marine unit was forced to call off the search making the loss one of the greatest single marine tragedies in the Cayman Islands since the 1940s and reminding mariners the risks posed even in local waters. The marine unit states that before heading out to sea boaters should file a float plan with port security; ensure boats are in good working condition; tell a friend or relative where the party is going, why and what time it will be leaving and returning; have the necessary equipment on board (life jackets, radio etc). Myles also noted that people using the water on any kind of craft should also have spent time getting to know the various channels on their routes and, of course, they should check out the weather forecast before leaving shore. “We are in the process of sending examples of float plans out to marine stores in the area – however, if anyone has any questions about what they shoulddo before they go to sea they can contact the RCIPS marine unit and my officers will be happy to provide advice,” CI Myles added. 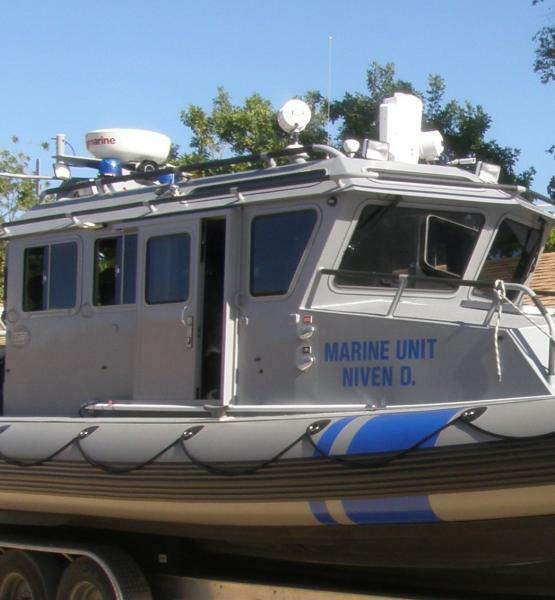 The marine unit can be contacted on 949-7710. (CNS): Following the severe damage sustained during Hurricane Paloma in November 2008, the Cayman Brac Police Station has finally opened its doors to the public today, Wednesday 27 January, after an extensive refurbishment programme. 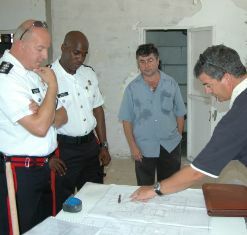 As a result of the damage to the station, in the aftermath of the hurricane the police moved their Brac operations to a temporary location within the UCCI campus. 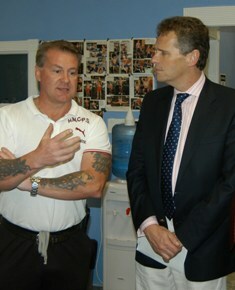 Chief Inspector Malcolm Kay said that while he was grateful to the college he was happy to be going back to the Creek. The new look facility now measures 1650 square feet and will accommodate police and administrative staff functions for Cayman Brac. The office has a new suite of police cells and is equipped with hurricane shutters and impact glass. However, the senior officer noted that, in the meantime, it was important for the residents and those visiting to know how they can contact the police. “Our Cayman Brac contact numbers will stay the same – but if you need to come into the police station to speak to an officer or to complete administrative business, please remember to come to the new look police station at Creek and not UCCI,” CI Kay added. Cayman Brac police station can be contacted on 948-0331. (CNS): Issues of representation have again delayed the start of the trial of Kirkland Henry and Larry Ricketts for the murder of Estella Scott-Roberts. 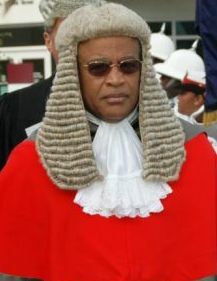 Although Solicitor General Cheryll Richards QC was expected to open the crown’s case against the two men this morning before Chief Justice Anthony Smellie in Grand Court one, the trial was once again postponed when the court was told that the recently appointed lead counsel for Ricketts had come off-record. Before a crowded court room, Gordon Aspden instructed by Priestleys explained that Lee Freeman, junior counsel for Ricketts, had been taken ill, and furthermore, lead counsel Delano St Aubyn Harrison QC had, for professional reasons, withdrawn from the case. He said the application for his removal had been granted by Justice Charles Quin and Aspden told the court that fresh lead counsel was expected to arrive on island shortly. The attorney explained to the chief justice that the defence would be ready to represent Ricketts by Monday, 1 February, if the court was willing to adjourn the proceedings until then. He did not provide the details of why Harrison had left the case but said he knew why. He also observed that he was well aware that it was fifteen months since the defendants were charged with the crime and remanded in custody. As a result, Aspden assured the court that everything was being done to ensure the defence would be prepared for trial next week. Ian MacLean Bourne QC, who is appearing as lead counsel for Henry, said that while he believed Aspden was more than capable of taking the case without lead counsel, he was willing to agree to the application provided the trial did go ahead on Monday, 1 February. He told the court that his client had also been on remand for more than fifteen months and was anxious to have the trial go ahead. The chief justice said he understood the difficulties faced by Aspden and that the law required “equality of arms”. He was therefore willing to grant the application and adjourn the trial till 1 February as arrangements had been made for lead counsel to take the case. He also agreed to do what he could to help expedite the necessary work permit for the new QC. Since the arrest of the two Jamaican nationals two weeks after the body of Scott-Roberts was discovered in her own burnt out car in the Barkers area of West Bay, Ricketts has been plagued with representation issues, with a number of counsel going on and off record for the defendant. Harrison arrived on island to begin work on the case just a few days ago and was scheduled to have been sworn in at the Cayman Island Bar yesterday but instead cited professional reasons to discontinue. 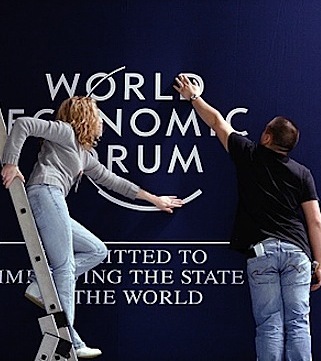 (BBC): Disputes over how best to reform the global financial system are set to dominate this year’s World Economic Forum in Davos. French President Nicolas Sarkozy is likely to add to the pressure on banks in a keynote speech on Wednesday. Numerous sessions on banking reform are expected to see clashes between bankers and regulators. The forum, meanwhile, is publishing a report on how to redesign the "global financial architecture". Last year, after the crisis struck,bankers stayed away, firefighting the crisis at home. This year the bankers are back, but the talk is of reform and restructuring, with politicians, regulators and central bankers setting the framework for discussions. (CNS): The long awaited trial of Kirkland Henry and Larry Ricketts for the murder of Estella Scott Roberts will open this morning (Wednesday 27 January) in the Grand Court before Chief Justice Anthony Smellie. As they have opted for a judge alone trial and foregone their right to a jury, Solicitor General Cheryll Richards QC is expected to open the case against the two Jamaican nationals at 10:00am before the country’s top judge. The men, who have pleaded not guilty to the offence of murder, were arrested just over two weeks after the discovery of Scott-Roberts’ body in her own burnt out car in the Barkers area of West Bay on Saturday, 11 October 2008. Scott-Roberts was a well-known local community activist who had campaigned tirelessly to address the violence against women in the local community and had worked as the director of the Crisis Centre for many years before taking up an executive position with Cable and Wireless. 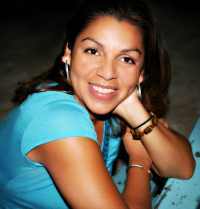 The news of her murder sent shock waves of disbelief through the community. On remand at Northward Prison for the last fifteen months awaiting trial, the two accused men had faced considerable difficulties regarding their legal representation. While Ben Tonner of Samson McGrath went on record for Henry at an early point in the case, he faced difficulties in obtaining a legal aid certificate for an overseas QC, which has since been resolved. Ricketts, however, was without any representation for some time, delaying the trial, which had been scheduled for last August. Eventually Lee Freeman of Priestley’s went on record and has since managed to secure senior counsel for his client. Ian MacLean Bourne QC will appear for Henry and Delano St Aubyn Harrison QC will appear for Ricketts. The case, which will now be decided by CJ Anthony Smellie, is expected to draw considerable attention. (CNS): Berna Cummins, who has been spearheading the opposition to the proposed Emerald Sound development in South Sound, handed over a petition of more than 1,100 signatures of people objecting to it to the Planning Department. The signatures came from both those people living within the 1500 foot radius, which the department is obligated to consider, as well as others living in the wider neighbourhood and the wider community who are concerned about the environmental impact and the precedent it could set. Haroon Pandohie, the acting director, received the petition. The main objection to the development has focused on the intention of the developer to constructa channel through the current South Sound Road from the ocean through to the main site of the proposed development by Bel Air Drive. The meeting to consider the application made by RS Estates is likely to take place before the end of January, and Cummins and the others opposing the development hope the petition will back up the objections made by those living in the immediate vicinity and stop what many people think is a dangerous proposal. 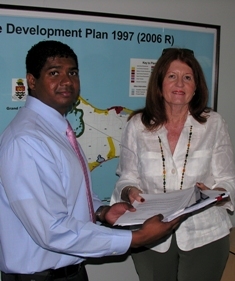 Cummins said recently that the development poses a threat to the entire Cayman Islands and not just those living close by, as she and others believe this development could open the flood gates (literally) for similar projects. “I have not spoken to one individual other than Burns Conolly that is in favour of this planning application,” Cummins told CNS. During a recent public meeting about the development a number of Cayman’s most experienced mariners voiced their opposition as they said it was a dangerous idea to cut a channel through the road. Burns Conolly, who is the architect on the particular project, said that all precautions have been taken in addressing the previous complaints associated with this development and the main complaints about potential drainage problems. (CNS): Following what he said was a decline in church membership and attendance, the premier has said that the only churches which are now filled to capacity are those predominantly of non-Caymanian origin and he has asked why Caymanians are not gathering to worship. Speaking at the Heroes’ Day celebrations, which this year focused on the Cayman Islands’ Christian heritage, McKeeva Bush said the community needed to revive it and a wider commitment to community service for more than just religious reasons. 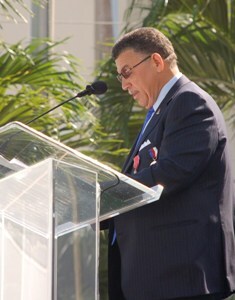 Bush said that the country’s churches had provided much of society’s support and suggested that working for others through the church was an important part of human development. “Academics who study how communities and societies function agree that community service increases a person’s sense of belonging and hence their social capital — that is, the connections with a wider group which have a mutually accepted value. It has been argued – most recently here by the researchers who compiled our National Assessment of Living Conditions (NALC)– that in the Cayman Islands the less fortunate members of our society are rapidly losing access to such social capital,” Bush said. The erosion of social capital, the premier noted, can lead to anti-social behaviour, evidence of which was all too common, and the community needed to stir itself into action. “It may sound trite to some, but without doubt the Golden Rule ‘Do unto others as you would have them do unto you’, in churches and outside of church, is a significant part of the answer to the challenges that we face as a country,” he added. However, he said that he had observed a decline in church affiliation and attendance in recent years. “Sundays come and go, and we do not find ourselves with our families and amongst our friends gathering to worship God publicly,” Bush said. “Nor do we send our children to Sunday school, and I speak here to our own, born and bred, most of whom grew up connected to some church, yet now only attend for a funeral. Now, it seems it is the churches whose membership is predominantly of non-Caymanian origin that are packed to capacity. We cannot blame the state of our society on anyone else but ourselves. So, why not, Caymanians?” he asked. He also encouraged parents to put their children in church and Sunday school in an environment where they are taught ethics, and how to make moral choices from a young age. He said that as the premier — and minister responsible for the soon to be forthcoming National Planning Initiative – government is committed to doing everything it can to provide other essential forms of support that will help to improve the life chances of our people today. (CNS): Continuing on his mission to get to know the local community and government services, in particular his areas of responsibility, the new governor, Duncan Taylor, got his first glimpse of the problems and issues at Northward men’s prison last Thursday. Just days before inmate Randy Martin was found guilty of murdering 21-year-old Sabrina Schirn while working at the prison farm, Taylor was shown the farming that is now taking place actually in the prison wall since Wilderness, the East End facility, was closed. Greeted by Director Dwight Scott, the governor received an overview of prison services and inspected a display illustrating different aspects of prison life. Taylor had a full tour of the facility, including cell blocks, the chapel, the holding area, the computer training room, the psychology unit, the visitor’s area and the gym. He was also shown the woodwork service, and the literacy and psychology programmes. HMP Northward falls under the Portfolio of Internal and External Affairs, for which the governor has direct responsibility. Following the prison visit, Taylor was met by his wife, Marie-Beatrice, and son, Max, who accompanied him on a tour of the Bodden Town district. The governor’s next public appearance will be at a reception in West Bay, where Premier McKeeva Bush is inviting all West Bay residents to welcome him on Wednesday, 27 January, at Boatswain’s Beach at 5:00pm.